Revit 2018 has a good multi-story stair improvements. It is good to see that it has good improvement in railing as well. What I want to highlight here are the automatic slope adaptation and the new host type. They make it easier to work with railing! In the previous version of Revit, it needs additional work when the slope changes. 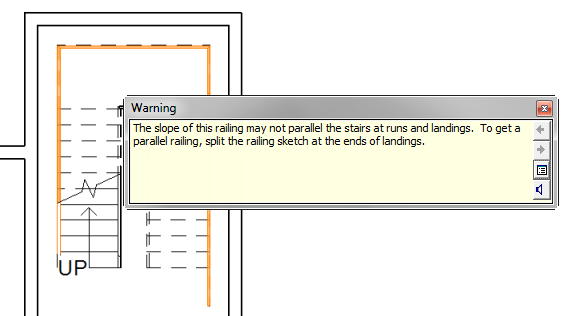 You need to split the sketch into segments or Revit will show this warning. The railing will not change the slope automatically. In Revit 2018, you don’t need to split the railing into segments. It will adapt to the slope automatically. You can draw a continues line from the landing to the stair and continues to the next floor. 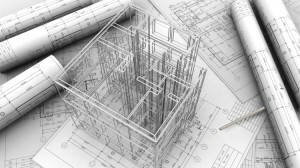 Revit railing supports multiple types of hosts. It can be hosted on roof, floors, and walls. In Revit 2018, you can use Toposurface as the host. 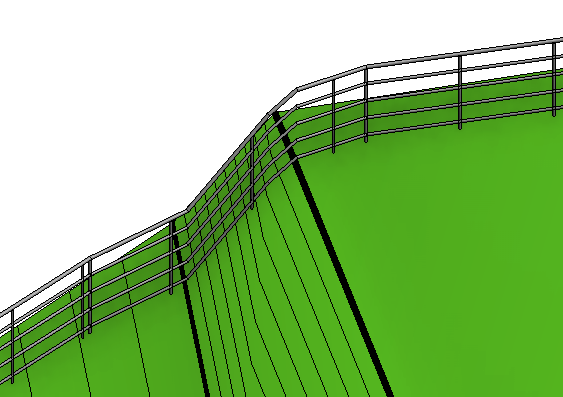 The automatic slope adaptation is very helpful to create railings on Toposurface. The railing will follow the slope, even it’s arbitrary. Do you need to see how the enhancements work? Watch it on this YouTube video.